Traveling from one’s home country to another can be quite tricky and rigorous if the right processes are not followed. As a matter of fact, if the requirements to be admitted into the foreign country are not met, the individual risks being denied access to the country he plans to visit. This is why if you have plans to visit Nigeria you should have a bit of knowledge about the application process and the requirements to be met prior to submitting your application to travel. It is in order to discuss a little about Nigeria before going ahead to discuss the requirements that must be met for you to travel to the country. Nigeria is the most populous country in Africa with an estimated population of 180 million individuals. Nigeria is set in the Gulf of Guinea in West Africa. The country shares borders with Cameroon, Togo, Chad Republic, and the Atlantic Ocean. Nigeria runs a three-tier government and is divided into thirty-six States which are grouped into six geopolitical zones. The country is blessed with so many natural resources including crude oil, feldspar, limestone, tin, Columbite, iron ore, granite, etc. The country has over 250 ethnic groups and Nigeria is renowned for its cultural diversity and rich heritage. The large cities in Nigeria are known to have a large number of foreigners mixing with Nigerian citizens. Foreign nationals enjoy a lot of freedom in Nigeria to do business and carry out contracts, as long as they are qualified and can prove their expertise. As of 2015, Nigeria had the fastest growing economy in Africa, currently, the Nigerian economy is one of the largest on the continent. Recent Happiness Reports show that Nigerians are the third-happiest people on the African continent and the eighty-fifth in the world. Nigeria, which is often referred to as “the Giant of Africa,” is also blessed with loads of wildlife and tourist attractions. This is one major reason why foreign nationals visit the country. Nigeria welcomes a lot of visitors yearly who visit for several purposes ranging from leisure travel to business and education. If you are reading this article then my guess is that you are planning to travel to Nigeria and you need to know about the requirements to be satisfied for travel to Nigeria. You definitely picked the right article and we have you covered on this one. 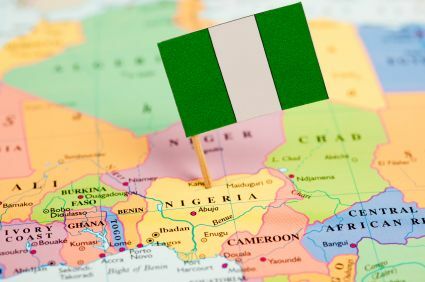 in this article, we have packaged all you need to know about traveling to Nigeria, the requirements to be satisfied, how to apply for a visa, and every other relevant piece of information. Without further waste of your time, let us dive straight to the business of the day. People who haven’t traveled to a foreign country might have a bit of difficulty knowing what a visa is. The truth is you definitely must have heard the term “visa” for the umpteenth time but being able to define it in clear terms might be a challenge. 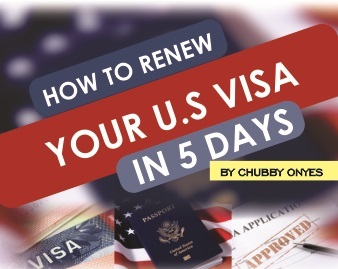 To make this an all-encompassing and enlightening read for you, we have added a bit on visas. A visa can be defined as a conditional authorization issued to an individual by a foreign country to enter, stay, work, or pass through the country. Usually, visas are time-bound meaning they are valid for a certain period of time after which renewal is required. The visa contains the date an individual is allowed to enter the country, the purpose for the visit, where they are allowed to visit while in the country, and the date they are required to leave. For an individual to get a visa such an individual must have submitted an application. This application must meet up to certain requirements and guidelines if it will ever be considered for approval. You should know at this point that applying for the visa is just the first step to getting the visa and it does not necessarily mean the application will be approved. Getting a visa to visit Nigeria you are required to apply for a visa. The application process is quite simple and understandable. If you meet up with all the requirements for travel to Nigeria, it is likely that your application for a visa will be granted and your visa issued. At this point, we should look at the requirements for travel to Nigeria as they are key to acquiring your visa. You must have a valid international passport which must remain valid for not less than six months after the application date. The passport is also required to have at least two empty pages where the embassy can append its stamp of approval. You are also required to provide two passport-sized photographs. The standard size of the passport photos should be between 35 to 40 square millimeters. You need to present a copy of your travel ticket information showing the date of your proposed travel engagement and full payment for your trip. You are required to provide evidence of sufficient funds to cater to your needs while in the country. In some cases, you are required to present a letter of introduction and invitation by a citizen of the country or a permanent resident in Nigeria. This is usually when you are traveling to Nigeria to visit a family member or friend. If you are traveling to Nigeria for holidays then you are required to show proof of permission from a place of work. This implies that you provide a valid job identification card, in some cases your letter of employment, a letter showing your approved annual leave by your employer and an acknowledgment of your trip by your place of work. Just as there are several reasons for visiting Nigeria, there are also different classes or types of Nigerian visas. Each of these visas is linked to the different reasons for travel and each one has its own specific requirements which must be satisfied for it to be approved. A valid international passport which must remain valid for not less than six months after the application date. The passport is also required to have at least two empty pages where the embassy can append its stamp of approval. You are required to provide two passport-sized photographs. The standard size of the passport photos should be between 35 to 40 square millimeters. You need to present a copy of your travel ticket information showing the details of the connecting flight. Details of your return ticket. Evidence of hotel reservations or address of the Nigerian host. An invitation letter from the Nigerian host. A visa approval letter (pre-approved letter). You are required to provide two passport-sized photographs. The standard size of the passport photos should be between 35 to 40 square millimeters and taken with a white background. It must have been taken within 6 months of the application. A completed IMM22 visa form. Appointment offer letter and acceptance letter. Application for STR from the employing organization or institution of learning. Valid diplomatic passport with at least two empty pages and valid for a minimum of 6 months after the application date. A Note Verbale from the Foreign Ministry of the home country of the applicant or the International organization. That is all the information available with respect to the travel to Nigeria requirements. We hope this article has been helpful to your quest for knowledge for this topic. Good Luck.